How to Build SEO Content Strategy? How to Build a Good SEO Content Strategy? SEO Writing > How to Build a Good SEO Content Strategy? Three letter acronym standing for search engine optimization appears today more often than ever. The reason for that is the expansion of businesses that offer their products and services online. More than that, most companies today are forced to strengthen their online presence in order to maintain and promote their businesses. Because people spend more and more time online, companies have no other choice but to meet them where they are. That is where SEO becomes so instrumental as it helps businesses accomplish this very goal. The question that remains then is how specifically search engine optimized content can help business managers? Increasing website traffic. Hire SEO content writer (a good one) and you will see how top positions on the search engines will increase the number of people visiting your website. Ordering the services of a SEO content writing company for example will help you deal with keyword relevant meta descriptions and tags which increase click through rate. Increasing website usability. Every decent freelance SEO content writer should be able to make your website easier to navigate for users. The thing is that SEO often assumes rearranging website’s architecture for the purpose of easier navigation through its pages. So it actually improves navigation in both ways: helping search engines find your pages as well as makes it easier for prospective customers find information on your website. Ensuring cost-effectiveness. 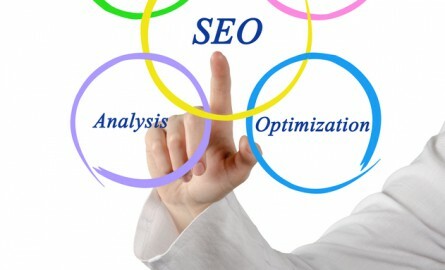 If you analyze all marketing strategies and tools, you will find that SEO is one of the most cost-effective ones. For example, cold calling costs way more money than effective inbound SEO strategy. The reason for that is that SEO targets people who are looking for your services/products online. This means you don’t waste money on users who are not even interested in what your company has to offer. Besides, the traffic generated by SEO campaigns is usually more qualified (since only those who are looking for similar products online become the target of SEO strategy) than that brought by other marketing tools. Building brand awareness. The fact that your website is among top results tells a lot about you as a trustworthy company. Besides, top position rankings ensure people associate your brand with targeted keywords which is another great benefit of successful SEO campaigns. The list of benefits listed above isn’t comprehensive; there are many other advantages that come together with the aforementioned things. And it doesn’t matter if you are asking yourself “What is a SEO writer?” or you are more advanced in the knowledge and keep wondering where you can find the best SEO article writing service; everybody can make use of effective SEO practices regardless of one’s current knowledge. The main thing here is the motivation and commitment to follow through. There is a difference between copywriters and SEO content every business owner should know. It is a mistake to assume that a skillful copywriter is better than any SEO professional as it can attract the public (generate website traffic). The thing is that copywriting is all about writing advertising and marketing content to persuade people buy specific product/service and/or increase one’s brand awareness. The goal of a copywriter is to get the readers take a particular action (i.e. buy something). However, what is the use of effective marketing texts developed by copywriters if they are never going to be read by the target audience? Who hires copywriters without ensuring their work will be seen by prospective customers? That is why copywriting and SEO should work together. Great marketing content is of no use if it is published on a website that no one gets to visit. Therefore, it would make sense to make sure every advertising text contains relevant keywords. This will ensure the article will be ranked by the search engines better, generating more traffic for the website. To achieve this goal companies can hire SEO copywriter or order SEO copywriting service. Those who understand how it all works can just buy SEO content to improve website’s standings too. The key is that copywriting and any other type of writing in the context of websites is much more effective if SEO practices are utilized.